Established companies are under increased pressure to innovate. Even if it is a good strategy to look at customer needs for idea generation, it’s not the only way to generate ideas. 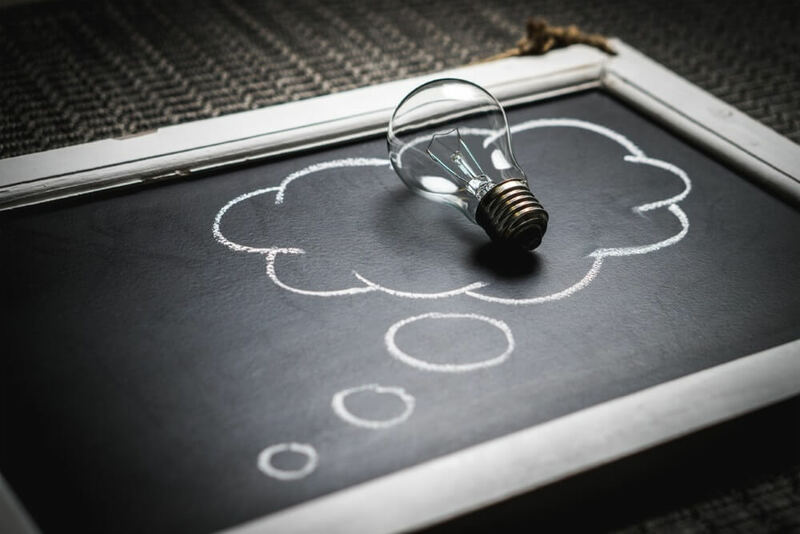 Our latest blog series will focus on idea generation and management and we’ll present you with a number of methods which will help you offer your employees incentives to create innovation because your own employees often have the best ideas and the necessary know-how. Companies are often skeptical when it comes to having their own employees develop and implement ideas. After all, this would mean that they would have to be given time to do so during working hours. Still, in-house idea development is a hot topic: How can you create the best incentives and environments for your employees to develop ideas that are as productive as possible? There’s a lot of untapped potential and ideas in your employees – all you have to do is to open that treasure box. But how exactly does this potential look like and how can you use it? That's exactly what our new series is all about. What is innovation and creativity? But before we can dive into answering the question how I can help my employees achieve the highest possible level of creativity and develop the best possible ideas, you should understand what the terms creativity and innovation mean first. Innovation is often defined as the (complex) new developments associated with technical, social and economic change. This includes not only completely new developments, but also the improvement or redesign of existing products / services. There is no uniform definition of creativity. However, the term is often described as the ability of an individual or a group to think and act in an imaginative and creative way. The term "inventiveness" can be used as a synonym. In our context, being creative means being able to actively shape innovation. The experience and expert knowledge of your own employees is enormously valuable. Every employee is an expert in what they do and knows exactly where the problems lie – and they probably have the right possible solutions to these problems already. You shouldn’t underestimate the experience of your employees. In addition, there is the efficiency factor: Initial thought-provoking impulses can be generated quickly and cost-effectively (e.g. via e-mail or by throwing a piece of paper into an idea letterbox), you can also use the time waiting for IT support or for someone to call you back productively. So instead of sitting around doing nothing, you can use it e.g. for creative brainstorming or for discussing ideas. You will have to make a larger investment if you want a productive and value-adding idea generation but it will definitely be worth it. This way of developing ideas also has decisive advantages for your employees - and ultimately for your organization and its reputation. By asking your employees for constructive feedback and encouraging them to make a contribution the further development of the company, will facilitate a feeling of being a valued and of being taken seriously. If they are allowed to play an active role in shaping this development, this will increase their work motivation enormously. What’s more is that they can escape the sometimes monotonous work routine and add a bit more creativity to it. The joint development and implementation of ideas promotes internal communication and prevents silo thinking in the individual departments. Employees come together and feel a sense of belonging, cohesion grows and there will be much less employee turnover. Overall, your employees will be more satisfied and your company will step by step develop into an innovative and popular employer. This will give you enormous competitive advantages when it comes to attracting talents. There are two possibilities when it comes to developing ideas. First, there are so-called Innovation Labs: Employees are given the chance to be creative on their own and to develop and test their ideas. Then there are techniques that help guide employees in order to further develop specific ideas. Stay tuned for the next parts of this blog series in which we’ll take a closer look at these idea generation techniques. Employee-Led Innovation (1): Advantages of In-House Idea Development - InLoox • Copyright 1999-2019 © InLoox, Inc. All rights reserved.